I am pleased to share with you a little project I have been working on. 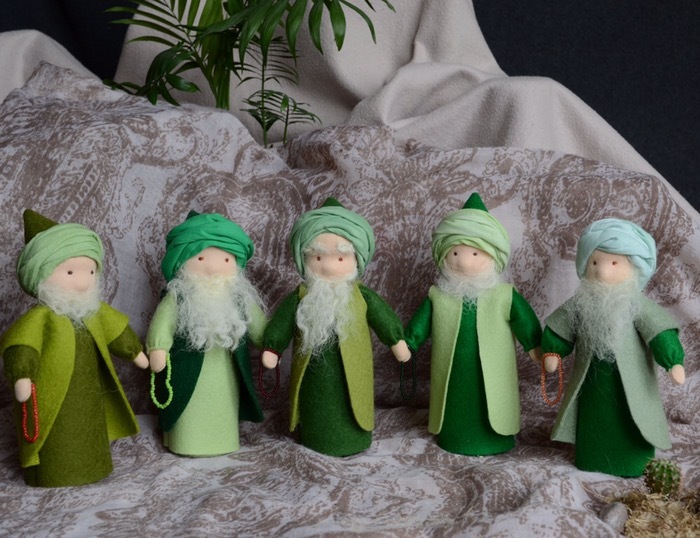 For some time I have been looking for ways to obtain high quality decorations for Muslim holidays and one of the things I have been searching for are Waldorf dolls that are in the style of wise men so they are similar in apprearence to a dervish or a Shaykh. 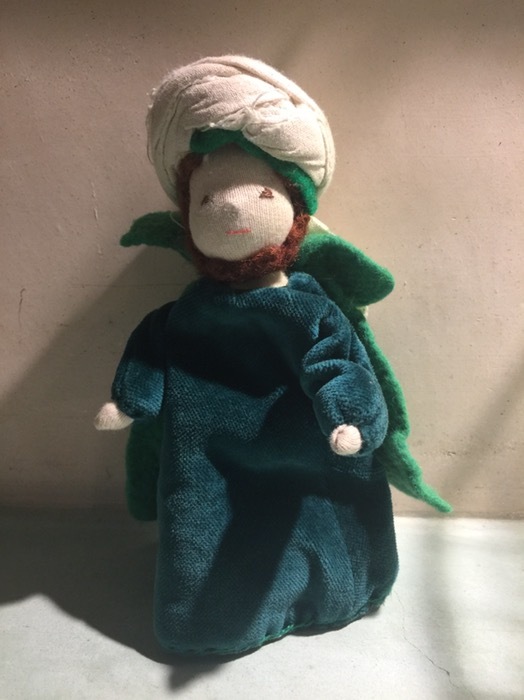 I had trouble finding the right thing till one day I happened to find a Robin Hood doll that I was able to use and add a turban. This is a well loved toy on our home and he is getting a little worn. Click Here to Visit the Etsy shop that produced these. I have not yet received them but once I do I will post my comments and ideas for how to use them for creative play and puppet shows etc. Some ideas are the stories of Mullah Nasruddin or the adventures of Khidr (a). I will need to think about it further and hopefully have some good ideas soon. Please share your ideas for teaching children to use creative play while learning about Islam.